Set in 1961 Greenwich Village, in the heat of the folk scene’s explosion and on the eve of Bob Dylan’s ascendency, Llewyn Davis is a musician who has enjoyed exceedingly minor success, having recorded a well-regarded, if low-selling single, with a now-deceased partner. But his just-released solo album is failing to gain any traction, and as a live performer, he finds he cannot rise any higher than irregular gigs at the Gaslight Café. Homeless, living from couch to couch with friends and acquaintances, he wanders without much of a goal, save to stay true to his own artistic instincts. Describing the ‘plot’ any further is probably futile, just as it would be probably be erroneous to say the film has a real ‘plot’ of any sort. It may be set 10 years later, but the film reminded me heavily of J.D. Salinger’s The Catcher in the Rye, as it presents an intensely meaningful character study of its anti-social protagonist over just a couple of particularly eventful days, without much of a structure on which to hang his increasingly unfortunate and surreal wanderings. There are no real beginnings to anything that happens here, only continuations of events that came before, and if the film concludes with an absolutely perfect punctuation mark, saying that things ‘end’ in any definitive fashion would be wrong. 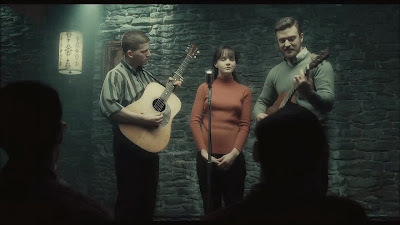 We have caught Llewyn Davis for the time in which this story exists, but both he and the world he inhabits are so fully realized that he ultimately extends behind and before this window into his existence. Like many great works of art, the Coens have managed to make this portrait seem both fleeting and thematically plentiful, and the result is a film that lingers long after the credits roll. For instance: it was not until several minutes into the walk back to my car that it hit me just how much this is a story about artistic fatigue, and how completely universal that sense of exhaustion should seem to people with creative ambitions of any kind. Through Davis’ story, the Coens say a lot about the nature of artistic drive, how one’s artistic voice is something deeply internal and oftentimes not easily repressible, and that when that voice comes into conflict with the context in which it exists, the ensuing decisions are never easy. But more than that, Davis’ story is about what it means to feel defeated, not just in terms of seeing one’s ambitions go unfulfilled, but about the emotional state one enters when it becomes clear their artistic voice is an isolated, unaccepted, or simply untenable one. No matter what your craft, creativity is a brutal and unforgiving process, and at a certain point, it has the potential to become downright wearying, like a weight one cannot rid oneself of nor move forward with. That is precisely the feeling at the heart of Llewyn Davis, the film and the character, and I think every single person who has ever strived to make art has felt what Davis goes through at some point or another in their lives. Whether or not Davis picks himself back up and tries his hand again after the film cuts to black is open to debate – as always, it is possible no filmmakers working today are as good at ending a picture at the absolute perfect point as the Coen Brothers are – but as a study of what it feels like to be artistically spent, to reach a point where you wonder if you have anything more to give or know even how or why to give it, Inside Llewyn Davis is as unflinchingly honest and emotionally genuine as any film I’ve seen all year. Even as the film achieves inspiring levels of thematic universality, it also operates as a stunningly transfixing evocation of its period setting. Those with a passion for folk music or the 1960s New York folk scene – both of which have long fascinated me – will feel as if they have entered a cinematic paradise. No film this year makes better or more effective use of mise-en-scene than this one, with Bruno Delbonnel’s brilliant cinematography – which is expertly composed to highlight the color, texture, weight, and presence of objects and scenery – constantly immersing the viewer in the organically worn and detailed production design. The songs, meanwhile, are stupendous, always selected or composed in perfect harmony with the characters and setting, and one of Coens’ smartest to decisions is to let the majority of musical performances play out at full-length, without resorting to frequent cut-aways (nor even a hint of montage). For a film about a musician, that is even more important than it sounds; Davis’ singing is key to understanding his character, just as the work we see from his friends and colleagues is key to quickly and efficiently filling in character and relationship details. From top to bottom, the film’s cast is so good, so natural and comfortable in characters that feel uniformly lived-in and fleshed-out, that I fear the quality of the performances may appear invisible to some. No matter. This is one of the best casts of 2013, and Oscar Isaac, in particular, delivers tremendous leading work. It is a total fusion of actor and character, his relaxed ease in the part so absolute that it becomes difficult to remember one is watching a performance. Carey Mulligan is a brilliant counterpoint to him, playing a character who wears her rage and passion and hurt on her sleeves, and there is an energy to their exchanges I find equal parts heartbreaking and invigorating. Justin Timberlake, Stark Sands, Adam Driver, Garrett Hedlund, F. Murray Abraham, and a handful of others all impress in ways big and small no matter how much screen-time they are given, and when it is one day written that nobody ever used John Goodman better than the Coen Brothers did, Inside Llewyn Davis will be a key piece of evidence. Earlier today, before heading in to tonight’s screening, a friend asked me which Coen Brothers film was my favorite. While I usually have an answer for questions like that, this one stumped me, and I realized it was because, of the Coen films I have seen, I put them all on near-equal qualitative footing. And in many ways, the same goes for Inside Llewyn Davis. I would absolutely put this toe-to-toe with anything they’ve ever made, for it accomplishes everything the brothers are best at – including humor, for the film is often uproariously funny, and a joy to experience with an audience – but in my own personal canon, I might even rank it a smidgeon higher. It plays to many of my own artistic interests and fascinations, obviously, but this one also hit me on a personal emotional level to degrees none of their works, much as I love and revere them, ever have before. 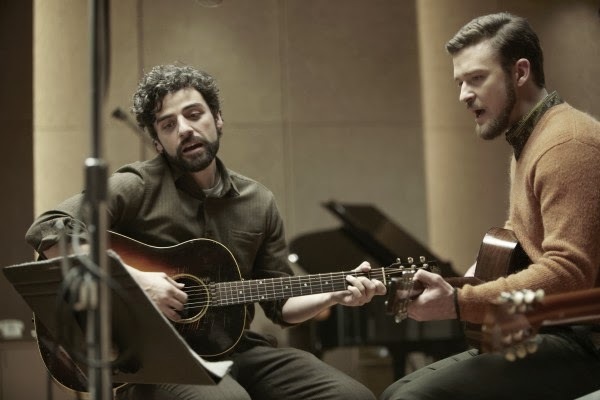 Inside Llewyn Davis is one of the year’s foremost cinematic pleasures, and among the best films about the emotions involved with art and creativity that I have ever seen. Inside Llewyn Davis opens in Denver on December 20th.